Poised on a hill overlooking the village of Front Royal in Virginia, Woodward House on Manor Grade B&B is just a half mile from the hiking trails and scenic vistas of Shenandoah Valley. Sit on a front porch rocker and soak up the gorgeous view. Other common areas include the sitting room, fireside living room, pub and social room. 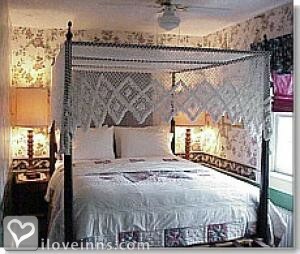 Stay in a guest room or suite with period d�cor and antique furnishings. The Sunrise Cottages are separate from the main house and feature a Jacuzzi, gas log fireplace, sitting room, entertainment center and snack kitchen. Gather in the Brick Room for the hearty "skip-a-lunch breakfast." Take a day trip to see the historic sites of Washington, DC. 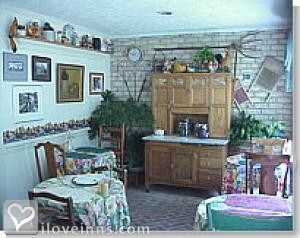 This property has 7 total guest accommodations with private bath, 1 with fireplace and 2 cottages. The types of beds available include King, Queen and Twin. 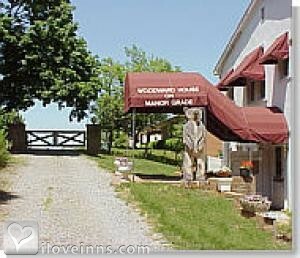 Woodward House may not be a mansion B&B but it is a "hidden jewel" The inn overlooks Shenandoah Valley with a large front porch with white rockers. 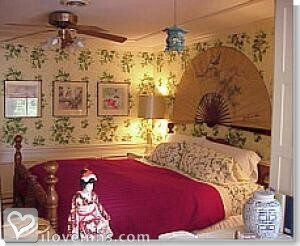 There are 3 rooms and 5 suites with old fashioned charm of claw foot tubs. All rooms have private baths. There is now a Sunrise cottage, separate from the inn. The breakfast is delicious and filling, with fruit, pastries, hot and cold cereal and eggs, any style or an omelet. The hosts, Joan and Bob go out of their way to make sure you have everything you need. They will even make suggestions on places to visit while you are there based on your tastes. Sit down together in the late afternoon and share a beer or wine with Bob and the other guests. An enjoyable time to sit and relax and compare your day's adventures. Coming from New YOrk City I welcomed the relaxing and comfortable stay at the Woodward House. The breakfast was the best. Kudos to the kitchen staff.